Mark just got back from a public land Osceola turkey hunting roadtrip in South Florida. This week we are talking about his roadtrip, how he planned it, what he learned from it, and why you may want to try a similar trip someday! We also discuss the upcoming QDMA Whitetail Weekend where we will both be speaking on habitat management topics! 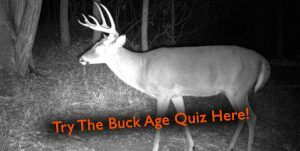 Sign Up For The QDMA Whitetail Weekend Here!! !